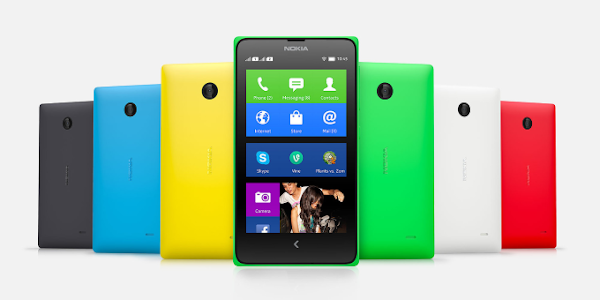 Nokia is rolling out a software update to the Android powered Nokia X Dual SIM smartphone. This is the first software update for the device following the acquisition of Nokia's Devices and Services business. The new software version 1.1.2.2 brings series of stability and performance improvements, as well as new and updated applications to the phone. After updating the phone, you can see that Nokia X software platform has been updated to version 1.1.2.2, but the core Android version remains the same (Android 4.1.2 (Jelly Bean)). With this update, the software version numbering format has been changed (previous version was v11.1.1). Get stability, performance & other usability improvements to your phone. Microsoft OneDrive and Contact Transfer apps added. Updated version of Nokia Store client. You can update your Nokia X phone wirelessly Over the Air (OTA). The device automatically notifies you when an update is available, but you can also check for updates by going to Settings > About Phone > System updates and tapping Check Now. If your phone shows that an update is available, just tap the notification message and follow the on-screen instructions shown on your phone. The update will take around 15-30 minutes to install and may require a restart to finish the installation.